Before the beginning of the Liturgy of the Word at Sunday Mass, children are invited to hear the readings of the Sunday mass from the Children's Lectionary. The Children's Lectionary has simplified the same translation that the adults hear at this part of the Mass. This helps children understand the Scriptures and the Gospel message at a level that is appropriate for their growth and development. Children return to their parents at the beginning of the Liturgy of the Eucharist when the gifts are brought up. The home is the first place where Religious Education occurs. Religious Education, at the instructional level from grades 1 through 8 builds on what the home has begun. It is to assist parents in the faith formation of their children. Classes begin in September and end in May. Classes are held each Wednesday from 6:30 p.m. to 8:15 p.m. at St. Boniface in Sublimity. Schedules are closely aligned with school schedules so that conference time and holiday time are the same as the school schedule. Children who received baptism as infants or were very young (before the age of seven or eight) begin the nourishment of Christ's life around the time of second grade. This preparation includes the Sacraments of Reconciliation and First Eucharist. Instruction and formation for receiving these two sacraments usually begin in September. 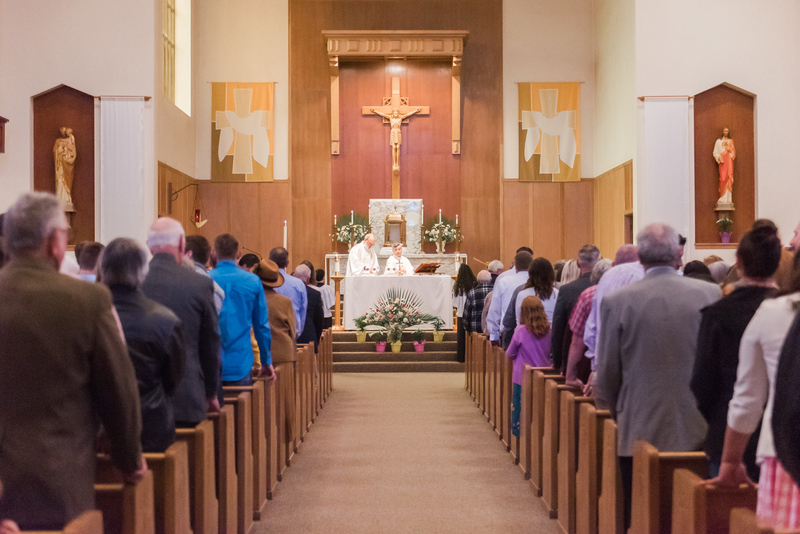 Boys and girls in the fourth grade and above who are interested in assisting the priest at Sunday Mass, special liturgical celebrations, and other liturgical functions such as weddings and funerals are eligible to join the altar servers. Training is provided after school hours. VBS will be held July 30-Aug 3, 2018 at the Regis Campus. There will be more details to come as well as a registration form.